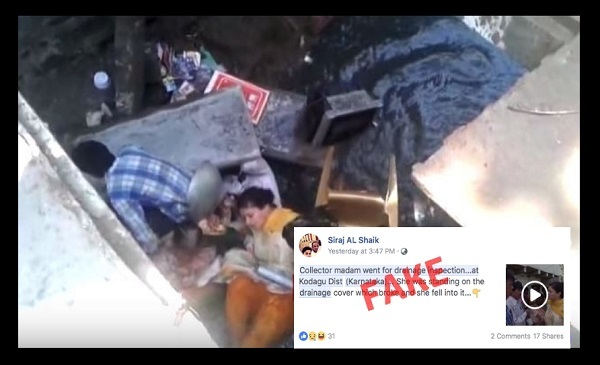 A viral video showing a woman falling into a drain with claims of the incident in Karnataka is false. While the social media posts also claimed that the woman is the district collector of Kodagu (Coorg), the actual incident took place in Gujarat in 2016. The video was shot when Poonam Maadam, a Bharatiya Janata Party MP from Gujarat fell into a drain while on an official visit to a slum. 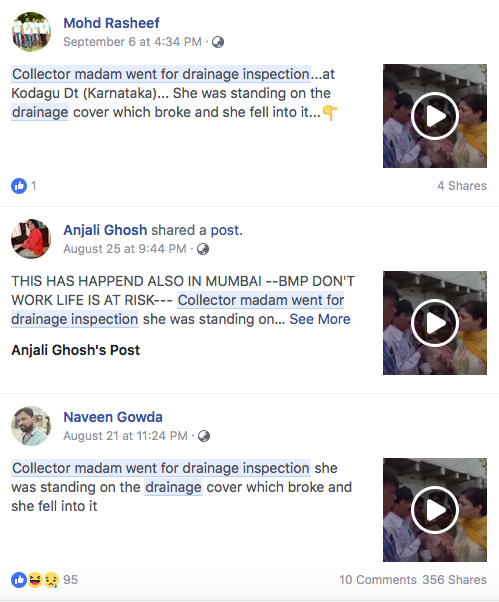 The video was shared by a Facebook user from Hyderabad Siraj AL Shaik on Sunday with the caption – “Collector madam went for drainage inspection…at Kodagu Dist (Karnataka)…She was standing on the drainage cover which broke and she fell into it.” – and has received over 1000 views and 17 shares at the time of this fact-check. Another video post shared by a Facebook user Parvaiz Maqbool Parvaiz mentioned that a collector fell into a drain. The video had over 29,000 views and 811 shares at the time of writing the story. In the video, a woman wearing a yellow salwar kameez who is surrounded by a crowd is seen talking to a man in Gujarati and suddenly falls into a drain below her. The 1.49 second video also shows people speaking in panic in Gujarati and the woman being rescued and then carried by locals and policeman to a waiting ambulance. The ambulance too has a Gujarat number plate. 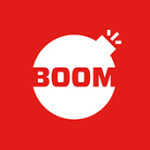 BOOM verified that the woman in the video is not the district collector of Kodagu but Poonam Maadam who is the MP for Jamnagar in Gujarat. According to a report in The Hindu, the incident happened in May 2016 when she (Maadam) fell into an 8-foot-deep drain while meeting slum dwellers during a demolition drive by civic authorities in a locality in Jamnagar. According to news reports the incident happened when Maadam was meeting with residents of a slum in Jalaram area in Jamnagar who were protesting against a demolition drive being conducted in the area. 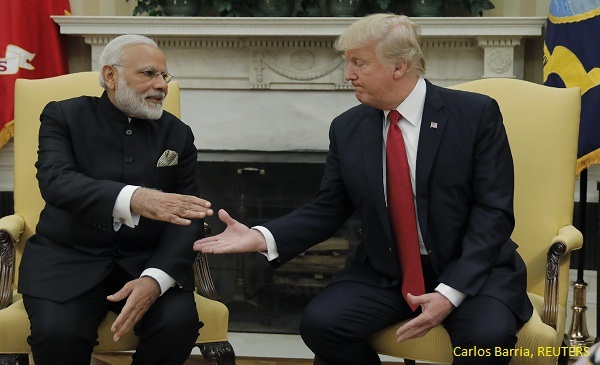 The video of the incident had received wide coverage with leading news websites including The Indian Express, Times Now and NDTV reporting it.